Or, at least it is if you're a citizen of Ooo! Finn and Jake wake up one morning to realize that they've forgotten how to cook!? It looks like it's an epidemic that is spreading around Ooo and when there is no food to be had...how soon will it be till the candy people realize they're made of candy? 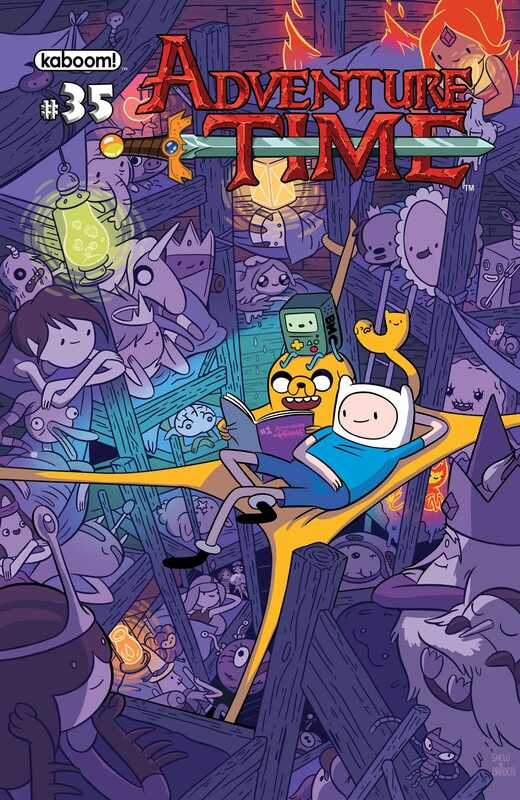 Princess Bubblegum assigns Finn and Jake to get to the bottom of this madness before the hunger drives the Kingdom crazy! First story arc by indie all-star Christopher Hastings (The Adventures of Dr. McNinja) and illustrated by the insanely talented Zachary Sterling (Adventure Time: Seeing Red), this is a brand new adventure that you won't want to miss!